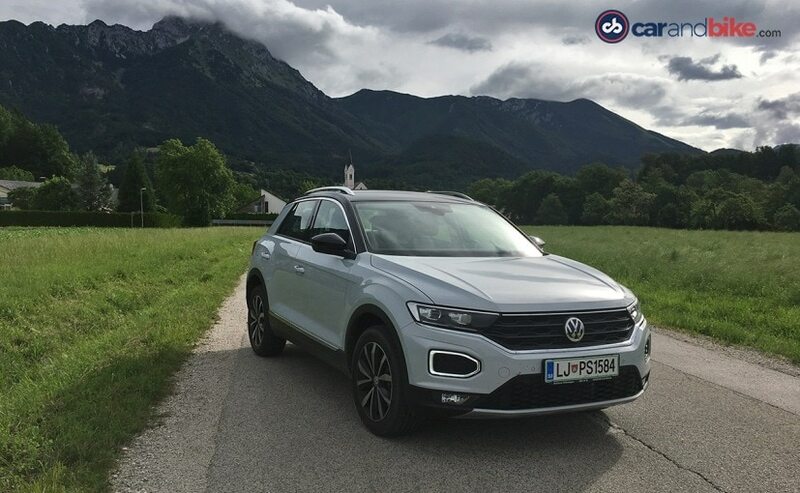 The Volkswagen T-Roc is Wolfsburg's baby SUV, and I wanted to get my hands on this SUV from Volkswagen from some time now. The wait was worth it, as the car impresses from the word go. 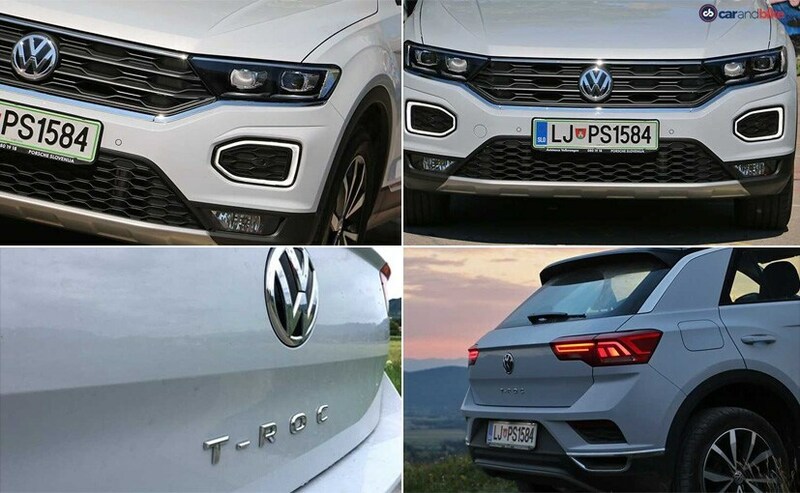 Volkswagen showed us the second generation of the Tiguan in 2016 and it then brought in the T-Roc compact SUV in 2017. The T-Roc was based in large part on 2014's concept car of the same name. 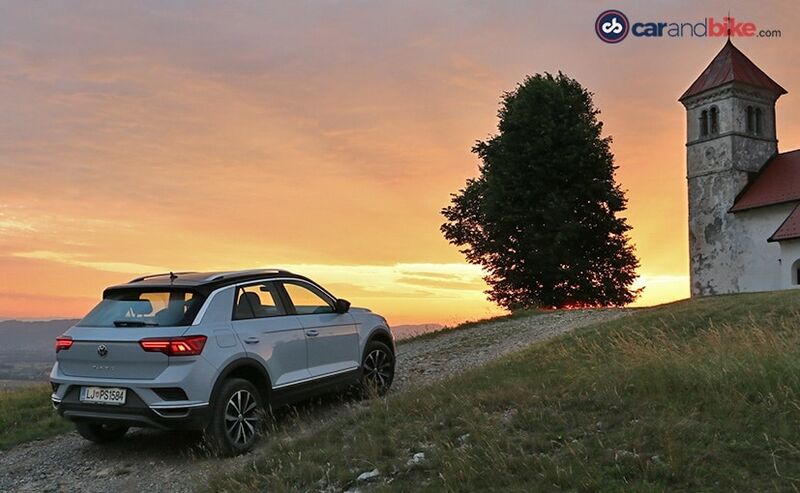 The T-Roc is an urban animal, a small SUV with low ride height, but high seating and the appeal too is limited to those wanting the feel of an SUV and not for gaining any form of off-roading prowess. 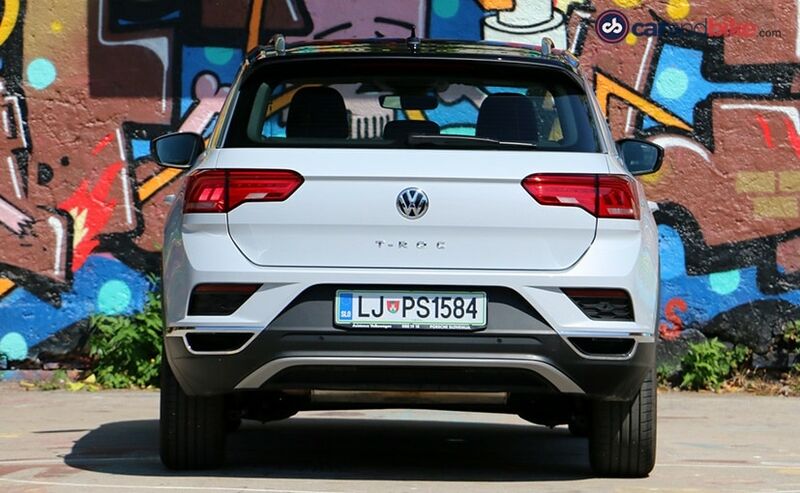 The T-Roc is based on Volkswagen's MQB platform and hence gets our interest. After all Skoda has announced that it will lead a new vehicle onslaught for the VW Group in India - an onslaught that will focus on compact volumes-driven SUVs built on the MQB A0 platform! Have I got your attention now? We have already told you there will be two SUVs each from Skoda and VW - and these will most likely be Indian market derivatives of the Skoda Karoq/ VW T-Roc and the new smaller T-Cross as well as Skoda's yet unannounced car of the same size. Stablemate Seat Arona would be a good template to follow on what to expect when it comes to the smaller subcompact SUV. But for now with those smaller ones far from seeing light of day, let me focus on the T-Roc. In Europe, the T-Roc takes on the likes of the Renault Captur (European model), Hyundai Kona, Mazda CX3, Kia Stonic and Renault Duster. 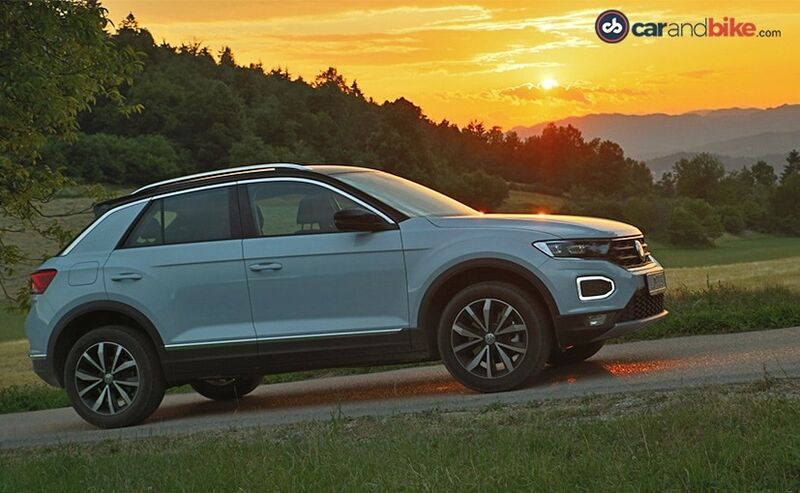 The fact that Volkswagen is finally getting serious about addressing key areas of the market it currently is missing in - is apparent with the massive SUV product line that is coming in thick and fast. And the focus is clearly on the entry end of that SUV market. Luckily most of that applies to India too - though one can't help but feel it's all happening a tad late. The T-Roc is the right size and shape to attract the attention of the Indian buyer. The segment it would slot into is the one ruled by the Hyundai Creta at present. While the T-Roc's exterior dimensions fall just short of the Creta's, it does have a longer wheelbase at 2603 mm (the Creta's is 2590 mm). That is what grabs you about the T-Roc the first time you see it - how ample and roomy the cabin seems. 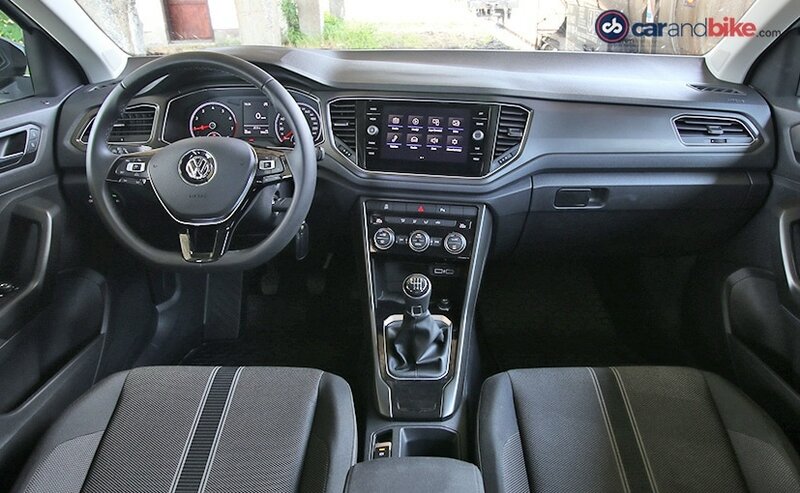 The cabin is also well laid out, but aside from the fact that you can opt for some bright colour trims (like orange and yellow), its layout is almost too typically VW-like. So that's a bit boring. To make matters worse my test car only had grey and black seats, but the fabric was good, and the striped pattern rather smart. Material quality overall is a bit surprising - while not bad in quality terms, the dash does come across as kind of plasticky. No soft-touch surfaces and a slight lack of finesse. But in an Indian context - given where the competition is - that would hardly be an issue. But you do get the equipment you would expect in such a car - a touchscreen with navigation and connectivity options, two USB slots, climate control system, trip computer with driver aids, steering mounted controls with voice commands and cruise control too. The T-Roc is anything but boring on the outside. It has two-tone paintwork, with some really fun bright colours on offer. Again I had to make do with a white, but with its contrast black roof, it looked rather fetching. The shape of the car is what will appeal, even though it doesn't have the obvious height of an SUV. The lines are sharp, the C-pillar is nicely angled, and the roof rails add that hint of ruggedness. The face is distinct with a slim yet wide grille, slim headlamps and a signature LED daytime running light in the bumper. That also doubles up as the turn indicator and so simply turns orange when activated. 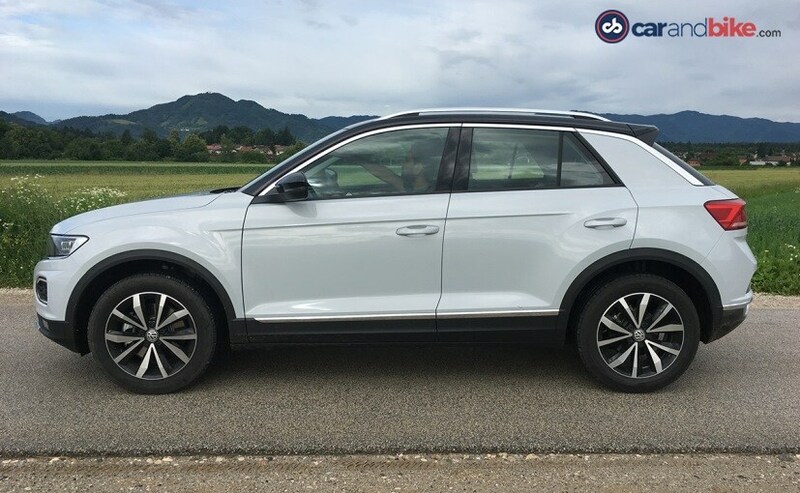 Its big asymmetrical hexagonal shape is very different for a VW, and gives the T-Roc its defining characteristic. The muscle in the front wheel arch is also nicely executed and gives the car the SUV element its design needs. 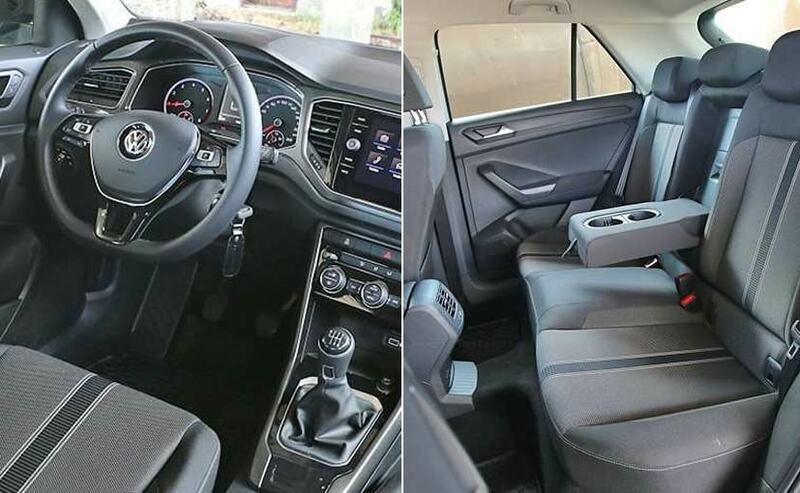 The fact that it immediately gives you a sense of ample room inside, while promising convenience and compactness --is the design's big win I think. On to the drive. Skoda boss Bernhard Maier has already told me that the VW Group is going to produce the 3-cylinder 1 litre TSI motor in India - from scratch. 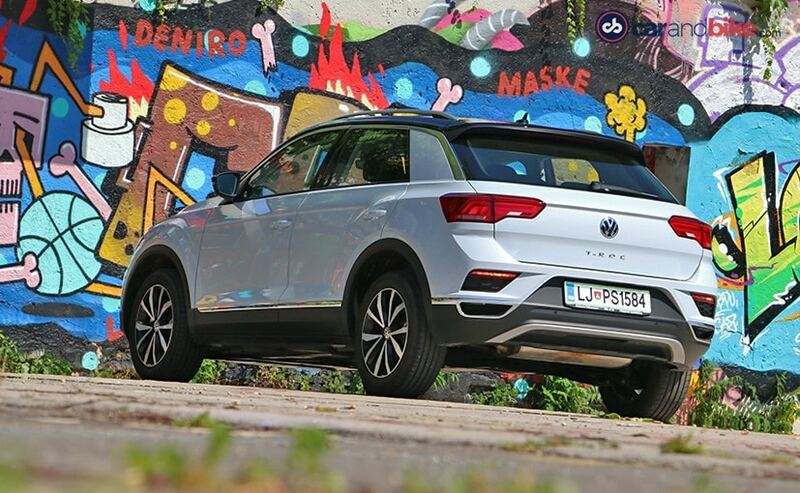 And it will form the mainstay of the new compact SUV family lineup for both Skoda and VW brand models. That engine coming in may also mean that one or more of those models may not even have a diesel option. And despite the current fuel prices that is not a bad thing. I will explain why, but first let us glance at the specs. 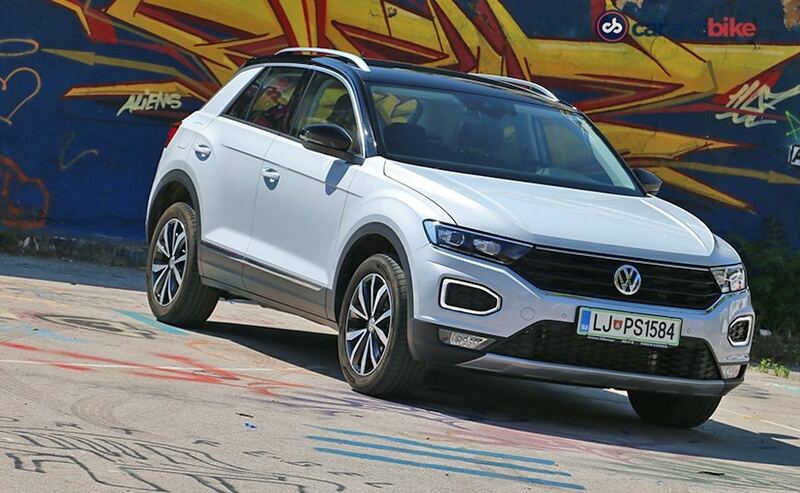 Ride quality on the Volkswagen T-Roc is typically German-like - firm yet not too stiff or uncomfortable. 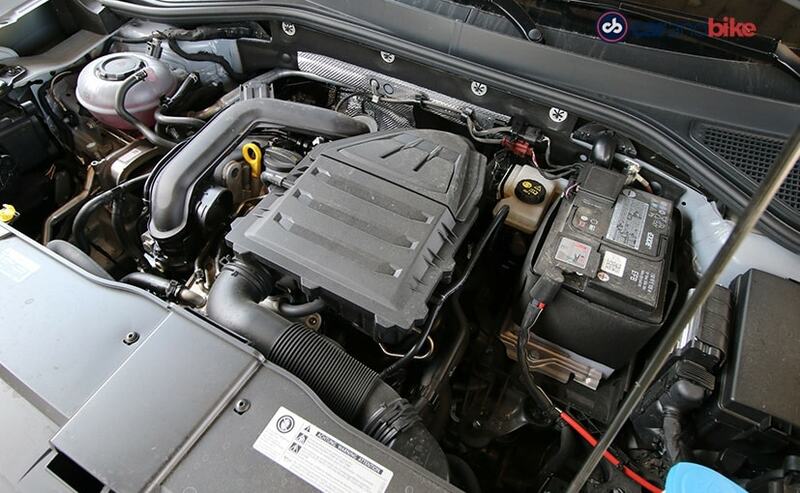 The 1.0 litre turbocharged engine makes 113 bhp of power and puts out 200 Nm of peak torque. So the reason I say the petrol-only strategy may just work is because of the ongoing shift in sentiment - many buyers are now shying away from diesel anyway. But more importantly, the 1.0 offers excellent mileage at 19.61 kmpl (combined city and highway). The peak torque kicks in from 2000-3500 rpm, but the car stays engaged even when you push past and go higher in the rev range. It accelerates eagerly from standstill and cruises impressively as well. And the car really feels a lot more athletic than what it promises on paper - such a good thing always. 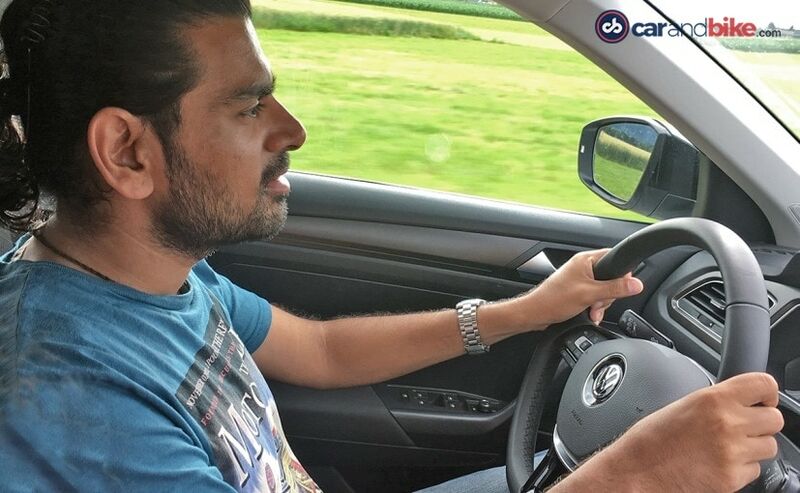 The 6-speed manual gearbox on my test car only enhanced that appeal. Ride quality is typically German-like - firm yet not too stiff or uncomfortable. But the real USP in my view, and where the T-Roc will really impress you, is how it handles. It boasts sharp cornering, with effortless steering, and no sense of either body roll or loss of traction. Depending on the trim and variant, you also get drive modes, and then can push the car harder in Sport mode for instance. So while it may be a less aggressive or butch option, the refined drive quality of the T-Roc will help it stand apart amongst the obvious consideration set. 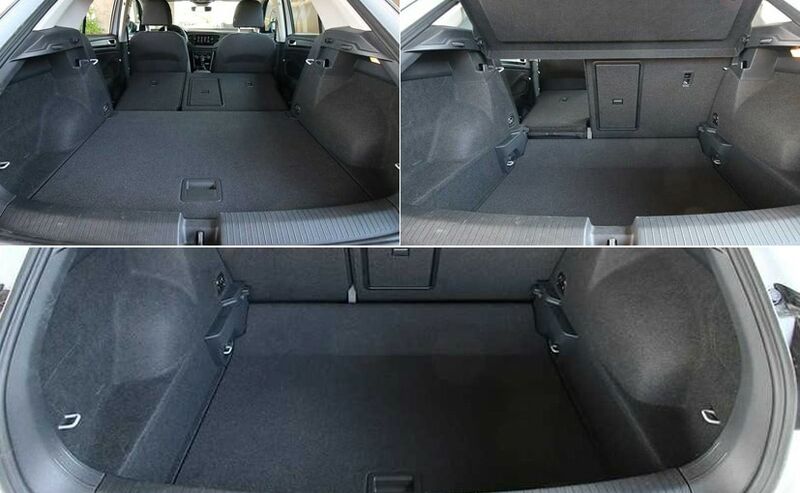 Don't forget Kia's Trazor/SP is also likely to pack in a whole truckload of equipment, and so VW would still need to package the car well, while keeping it all reasonable on the pricing side. The car will have to stay well south of Rs 15 lakh for it to have any semblance of success in India. But it is a point that VW and Skoda seem to finally understand. The launch is still many moons away of course. But I am encouraged by what I have seen and by how the car has driven. Now let's hope VW gets the rest right too.